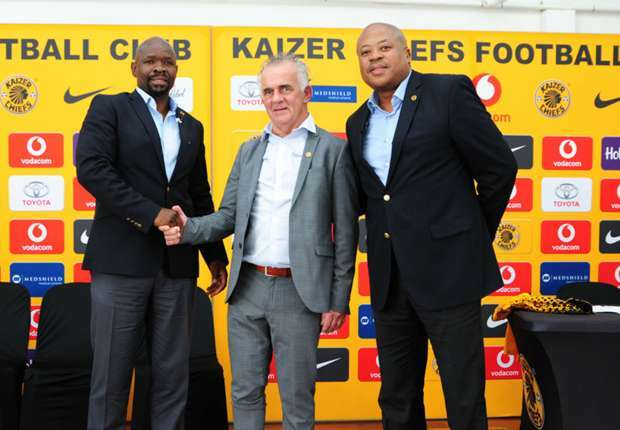 Johannesburg - Steve Komphela has said that his days at Kaizer Chiefs should be left in the past, otherwise he will spoil the respect and dignity he exhibited during his stint at the Naturena. Komphela was responding to statements that Itumeleng Khune and other Amakhosi players did not understand him. “I’m not going to talk about my past because the moment you start opening the past doors there’s a lot of things that you will need to explain. “I’ve always refused to comment, that’s why for three years you (Media) have been hunting and hunting me. I survived the three years of an onslaught. I cannot therefore commit and error today. “I cannot get excited and make an error today, it will erase the three years of dignity and respect out of the sincere sufferings that I went through. I will stay the same way I have been in the past three years dignified and respecting irrespective circumstances. “Three years at Chiefs had the best of my time. I remained highly respecting and dignified. I am not going to spoil that‚” Komphela said. Khune however, expressed his hopes players would understand and grasp the philosophy of new coach Giovanni Solinas who was appointed by the club last Friday. The keeper also expressed an opinion that he and his teammates struggled under Komphela who left the club in April because they could not adjust to what the coach wanted during his trophy less three seasons with the Soweto Giants.